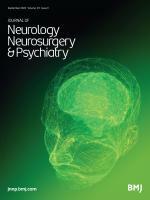 Journal of Neurology, Neurosurgery, and Psychiatry | JNNP’s ambition is to publish the most ground-breaking and cutting-edge research from around the world. 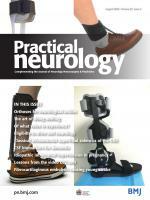 JNNP's ambition is to publish the most ground-breaking and cutting-edge research from around the world. 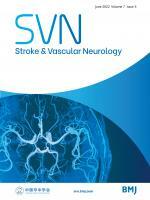 Encompassing the entire genre of neurological sciences, our focus is on the common disorders (stroke, multiple sclerosis, Parkinson's disease, epilepsy, peripheral neuropathy, subarachnoid haemorrhage and neuropsychiatry), but with a keen interest in the Gordian knots that present themselves in the field, such as ALS. With early online publication, regular podcasts and an immense archive collection (with the longest half-life of any journal in clinical neuroscience), JNNP is a trail-blazer and not a follower. 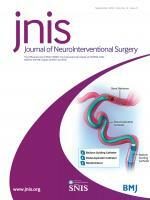 Subscribers to JNNP also have access to Practical Neurology and the Journal of NeuroInterventional Surgery. JNNP publishes regular podcasts discussing highlights from its issues. Discover them here. JNNP accepts submissions of a wide range of article types, including review articles and original research. The Author Information section provides specific article requirements to help you turn your research into an article suitable for JNNP. Based on the success of deep brain stimulation (DBS) for treating movement disorders, there is growing interest in using DBS to treat schizophrenia (SZ). We review the unmet needs of patients with SZ and the scientific rationale behind the DBS targets proposed in the literature in order to guide future development of DBS to treat this vulnerable patient population. [...] We conclude that patients with severe symptoms despite treatment must have the capacity to consent for a DBS clinical trial in which risks can be estimated, but benefit is not known. In addition, psychiatric populations should have access to the potential benefits of neurosurgical advances.